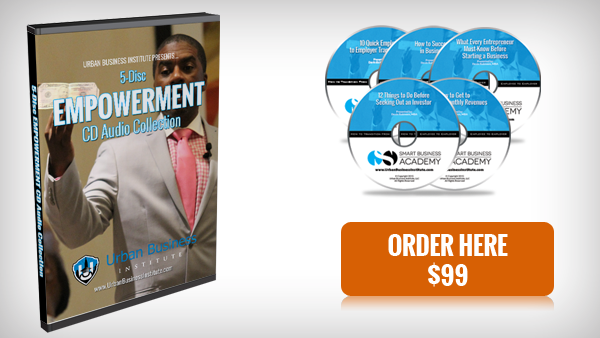 For a limited time, we are allowing entrepreneurs the opportunity to purchase our materials without enrolling in our program(s). These materials teach entrepreneurs one main thing: "How to develop the perspective, behavior, wealth, leadership and financial management on empire-builder." 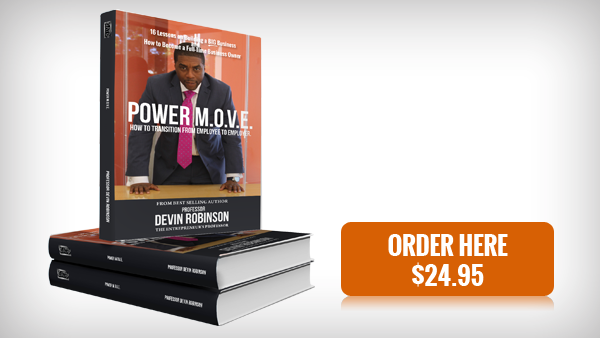 These materials were developed by Professor Devin Robinson, who made the journey from employee (in Government and Corporate America) to building his own start-up businesses that soon became enterprises that comfortably employs others. You won't ever regret taking advantage of any of his products especially these below! 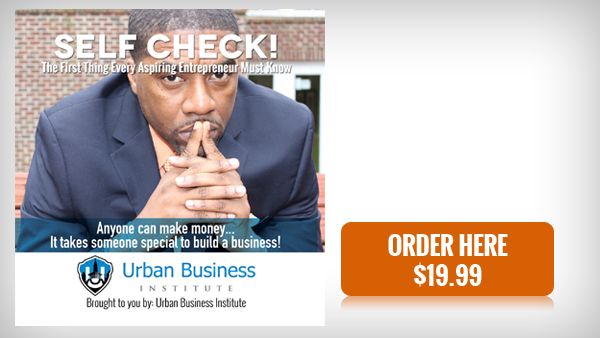 They are hard-hitting, realistic and packed with tales from his own life of struggle trying to rid himself of the "employee" outlook and habits to knowing how to make the tough decisions and seize the opportunities that led him to building his own brick and mortar businesses. If you've only worked for others or still can't breakthrough in your business, don't leave this page without ordering these materials. Like we stated, this is only for a limited time! 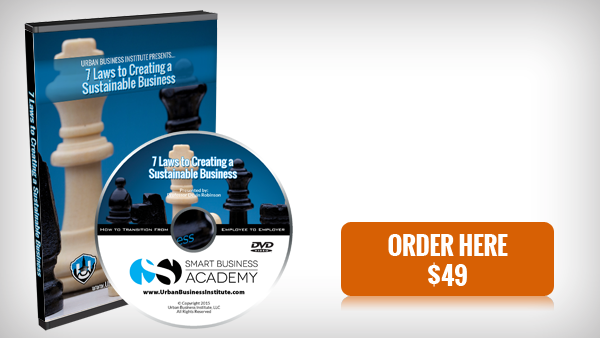 These materials are complimentary for students in our SMART Business Academy's Power MOVE program. Most aspiring entrepreneurs get into business because of their passion for their craft or passion to be in power. However, most of these entrepreneurs never make it to full-time entrepreneurship because of some of the most basic reasons. Those reasons are highlighted in this CD and explained how to overcome them. Before enrolling in our program, you can get to see what it's like. Our Reading, Listening, Watching and Training Power Plan package allows you a quick way to engage, educate and prepare you for your ​entrepreneurial journey using a mixture of options and resources.